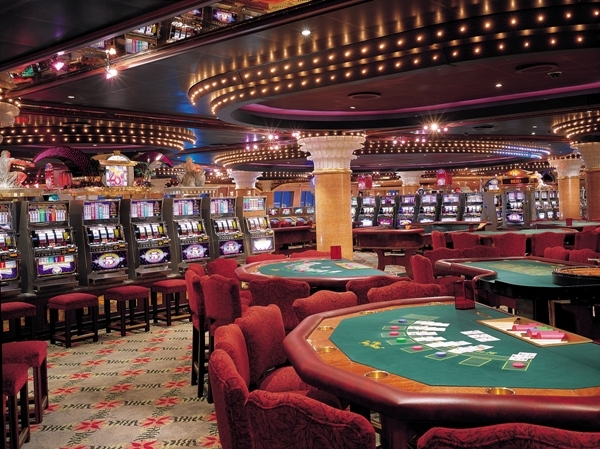 Land based casinos are regulated to ensure that the slot machines are both random and honest, however the situation is not the same aboard cruise ships. On land, the gambling laws are very clear, but at sea it is difficult to work out who exactly sets the laws to monitor the casinos and who enforces them. Cruise ship gambling really began in 1991 under the Cruise Ship Competitiveness Act, which allowed United States cruise ships to offer gambling once they left the United States and entered international waters. Some regulatory control is offered by the International Council of Cruise Lines, but in no way does it approach the standards laid down for of the land based casinos. If you have a dispute while at sea, there will be no legal representative available on board, and your only option is to speak to the casino manager or hotel manager. On land, it is not in the interests of casinos to cheat you, as they need you to return and there is plenty of competition, so if you do not like one casino you can easily go to another. But at sea, there is no competition at all, there is nowhere else for the avid gambler can go. The cruise ships know you probably have the cash and they have no need to keep you happy so that you return, as once you leave the ship you probably won’t be back. When it comes to the paybacks on slot machines on the high seas, the percentages are likely awful compared to land based ones, so if you don’t want to lose your money, it is best to skip cruise ship gambling.